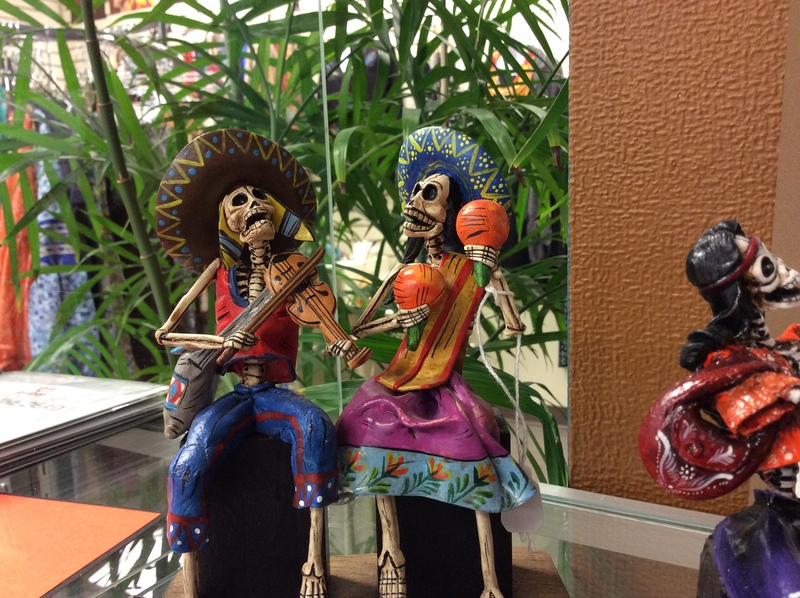 Día de Muertos, or Day of the Dead, is a festival honoring one’s deceased relatives that has its roots with indigenous peoples of central and southern Mexico and today is a national Mexican holiday. It is also celebrated by many living in the states. 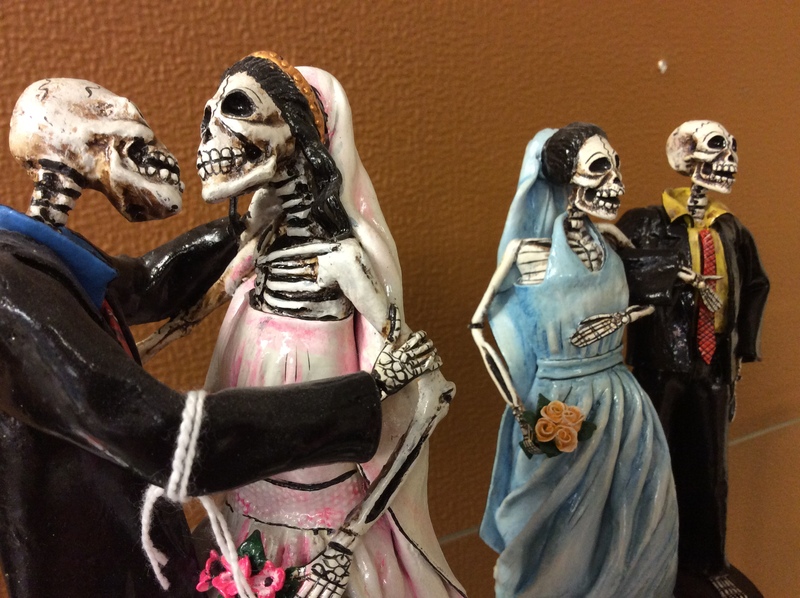 Traditions include decorating and leaving offerings at grave sites, or at alters in the home, with marigold blossoms, sugar skulls, and favorite foods. It is a happy and lively celebration in honor of the departed. 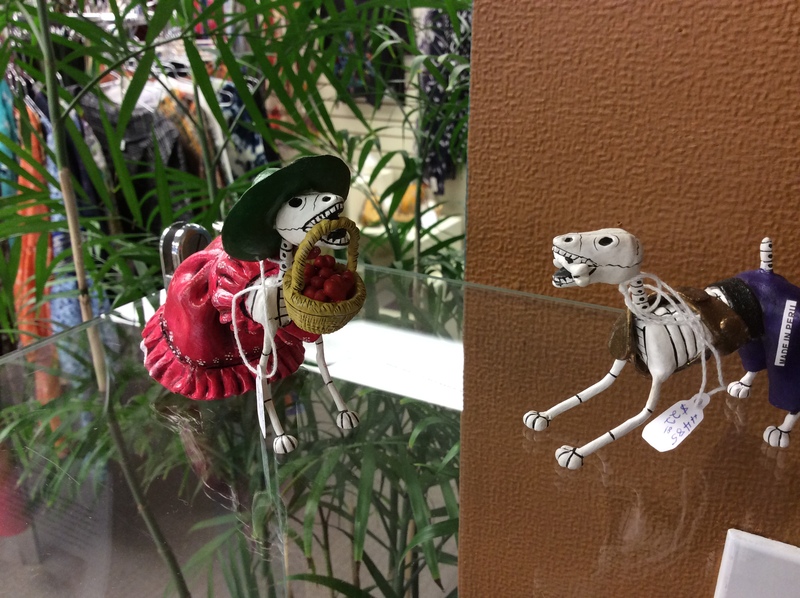 In the shop now we have Day of the Dead figurines, as well as themed cards. Beautifully hand-crafted, they make wonderful gifts or additions for your own celebrations. There is a great Wikipedia article on the Día de Muertos if you want to learn more. Also, check out this great video below. The fiesta will occur October 31st through November 1st.